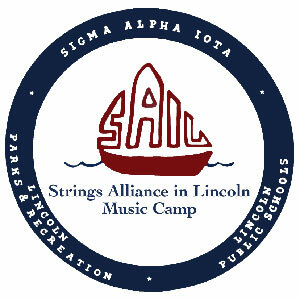 SAIL (Strings Alliance in Lincoln) Camp is a day music camp that provides opportunities for students to learn how to play a stringed instrument, expand their current stringed instrument knowledge, and perform with a large string ensemble. We have camps for beginning strings students and also for strings students with at least one year of string study. For advanced students, we have the Honors Orchestra. We look forward to seeing you at this summer's SAIL Camp! For more information, email info@sailcamplincoln.org. Registration for SAIL Camp 2019 is now live. Click below to access the registration forms. Thank you for your interest in SAIL Camp!